Scarlett de Bease helps women elevate their personal brands by teaching them to dress in a way that is authentic to them and flatters their unique bodies. You probably judge yourself constantly every time you look in the mirror, right? But here’s the good news: you are your own biggest critic. 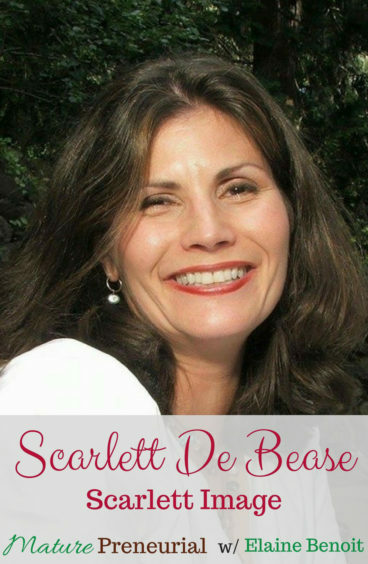 What Scarlett de Bease loves to do is help women feel absolutely amazing about how they look. When you can show up authentically and feel confident enough to really stand out, it’s a total game changer. Scarlett is an image consultant. She helps women elevate their personal brands by showing them how to dress in a way that is authentic to them and flatters their unique bodies. She specializes in working with women who are tired of stressing about dressing; who want to be sure to make that all important first impression a great one. Scarlett began her career in cosmetics. She quickly moved up the ranks to become an account executive with a company car. But after her boss and mentor, who was over 50, was fired and 23 year old Scarlett was promoted to replace her, she became disillusioned with the industry and chose to move on. She went to work in the garment industry for several years before she took time off to start a family. After her second child was born, she decided to get back into cosmetics as a freelancer. She started doing women’s make up for special occasions, such as weddings and bat mitzvahs. However, her whole perspective changed when a friend, who didn’t want to go alone, dragged Scarlett along to see an image consultant with her. The experience was transformational. The consultant was able to explain what clothing worked for Scarlett and why. It opened a whole new world to her. 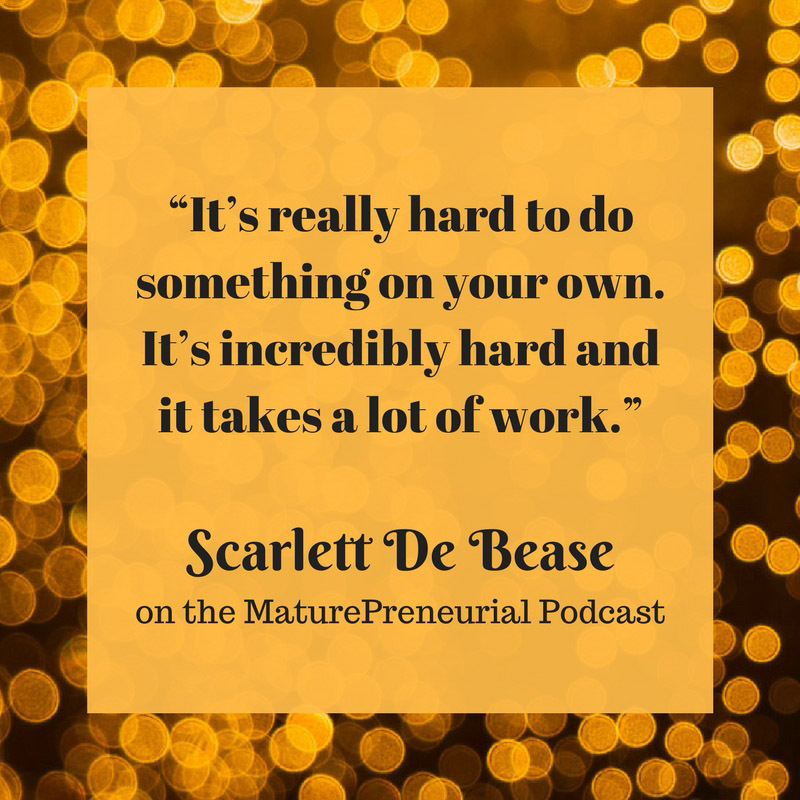 Later, when a colleague asked Scarlett to run her image consulting business while she was out of the country, Scarlett eventually came to realize that she could run a business of her own. She was in her her late 40s. 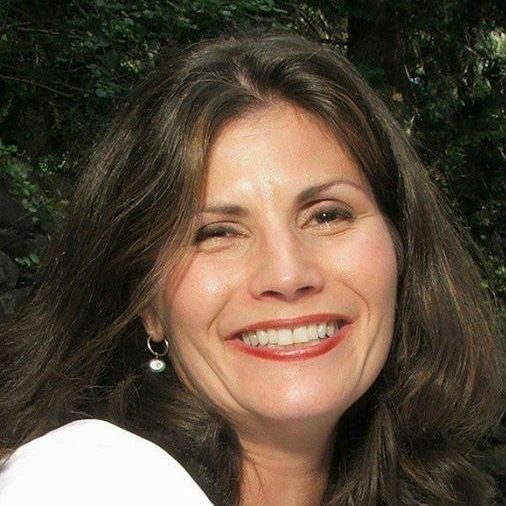 In 2012, Westchester NY Magazine named Scarlett the “Red Hot Image Maker.” She is known as the Wardrobe Stylist who gives women the ability to look and feel confident. Scarlett is not a fashionista or trend fanatic. But she does get excited about turning boring outfits into “Oh hell yeah, look at me!” outfits, while making her clients feel great about themselves. Scarlett knows that when you have a personal style that suits you and makes you feel amazing about how you look, you’ll be confident in putting yourself forward to be noticed. It changes the game in your business and personal life. Did you decide not to take that job, when you went to school did you do it for yourself and not for her? What would have happened if you had followed her instructions and then she came back and wanted the business back? Do you work virtually as well as in your own area? What was one of the most successful ideas you implemented for your business? Was it a coach that you hired or was it a one off type thing? What did they do? Take the book and pretend it was their own? What is the most important or memorable advice that someone has given you? When you first started your endeavor did you come up against any resistance from family or friends and what did you do to overcome it?